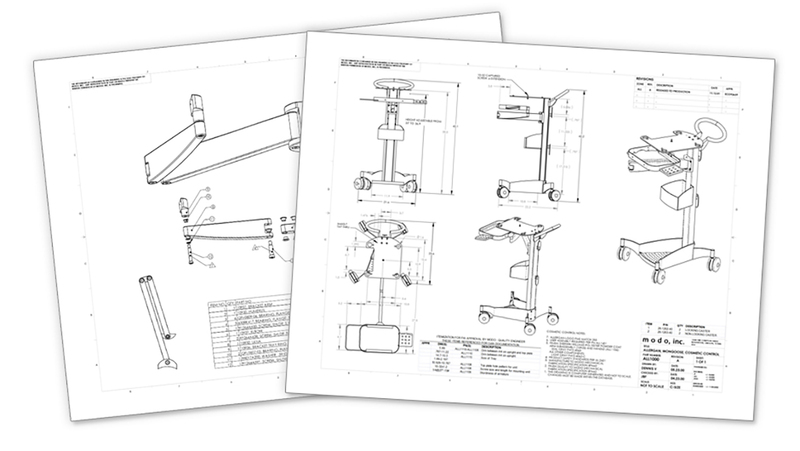 While working at Modo Technology Carts as a junior designer, Dennis Veatch assisted with the design, development and production of several carts—honing his CAD design and engineering skillset. 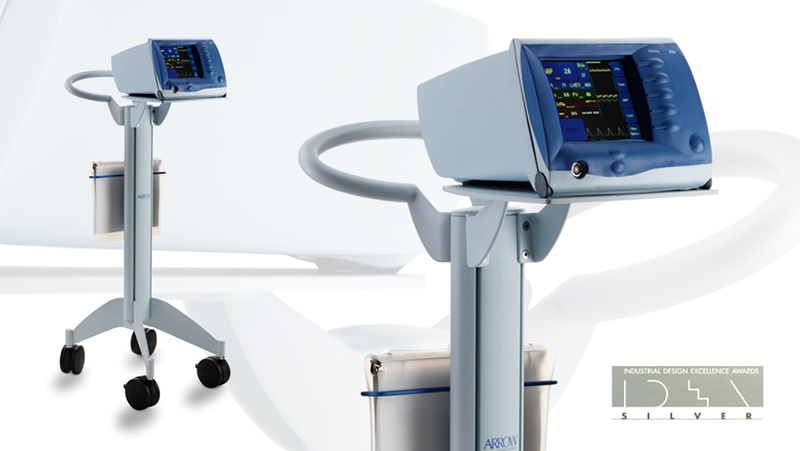 Medical product manufacturer Arrow International/Teleflex Incorporated enlisted Modo Technology Carts to design and produce a cart for their Transesophageal Heart Probe monitoring system. 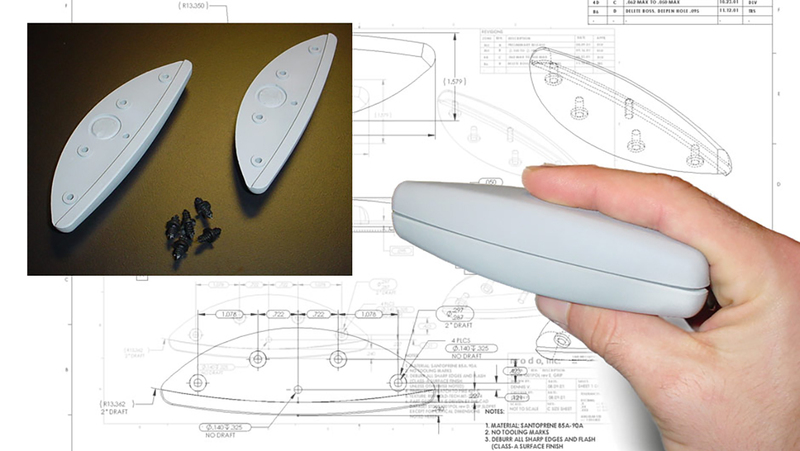 The CAD design process embodied the creation of a family of modular components for Modo that were later used in subsequent products. 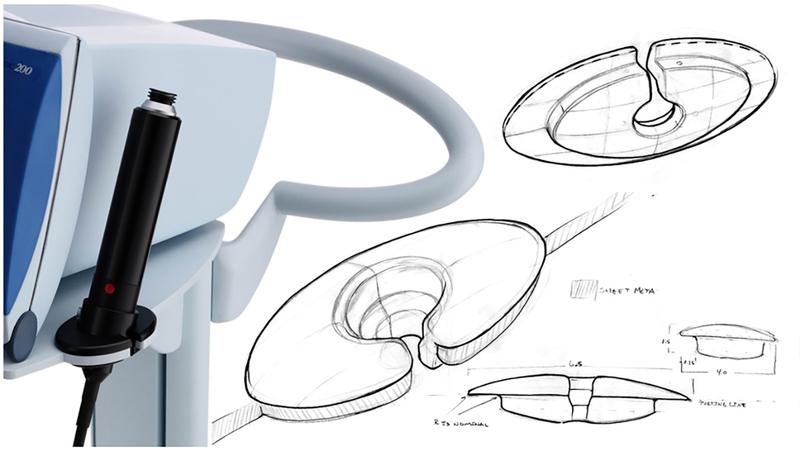 While employed at Modo, Dennis worked in parallel with Ziba Industrial Design Firm during the final stages of developing the monitor. 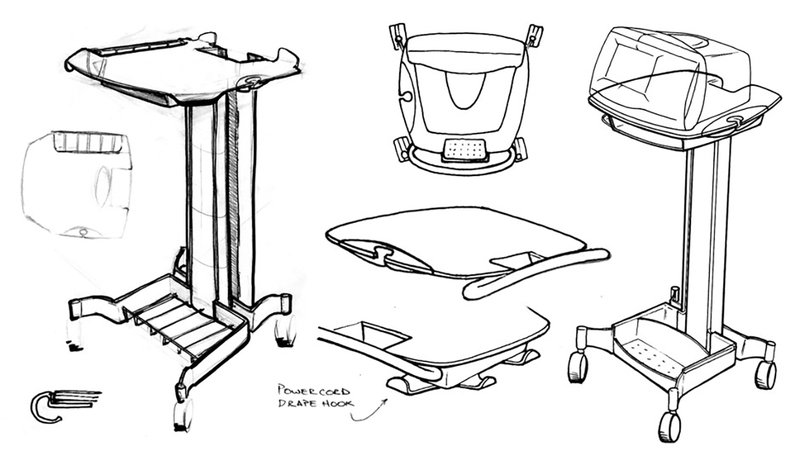 The output of their efforts was an IDEA Award winning cart. 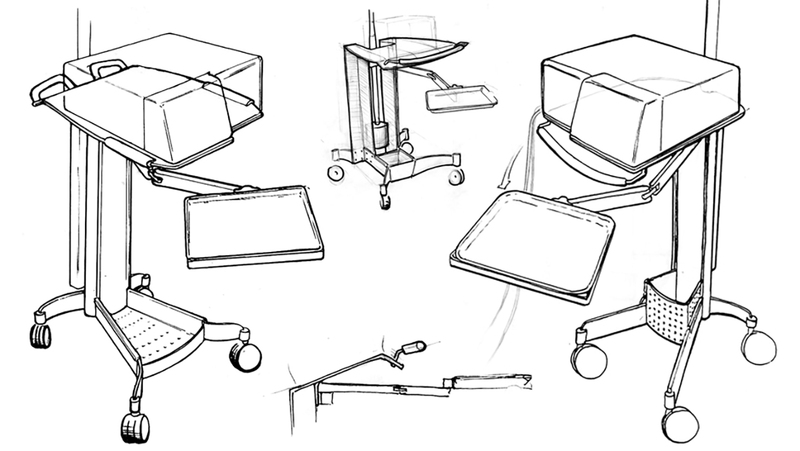 While at Modo, Dennis assisted Allergan in designing and producing an operating room medical cart for a new line of optical surgical equipment. 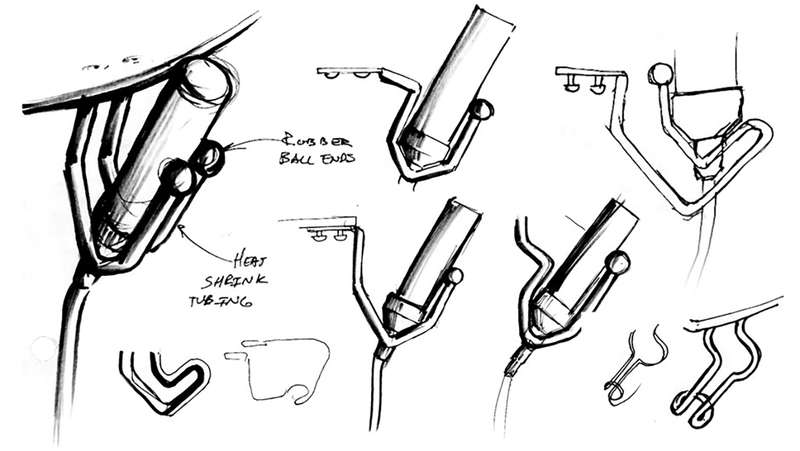 The demanding nature of the equipment required numerous points of interaction with the surgeon. 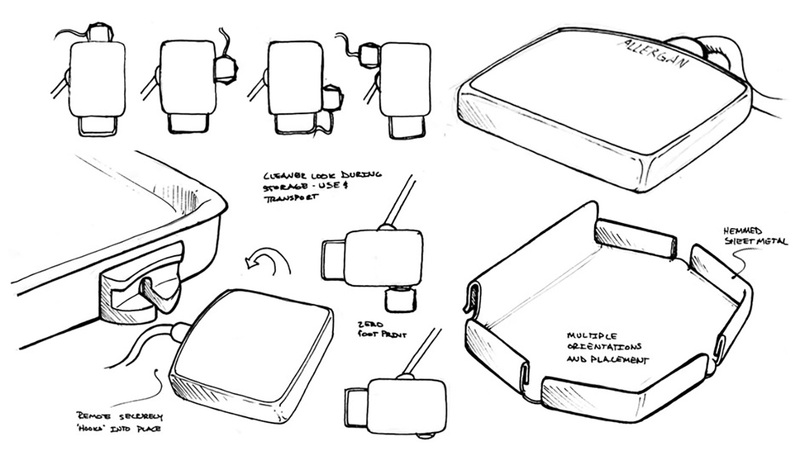 The design included a carefully specified extended and cantilevered tray, multiple accessory storage apparatuses and a modular feature set for various configurations. The operating room environment was considered throughout the process. Allergan provided scope requirements and interview findings from operating room nursing staff and doctors. 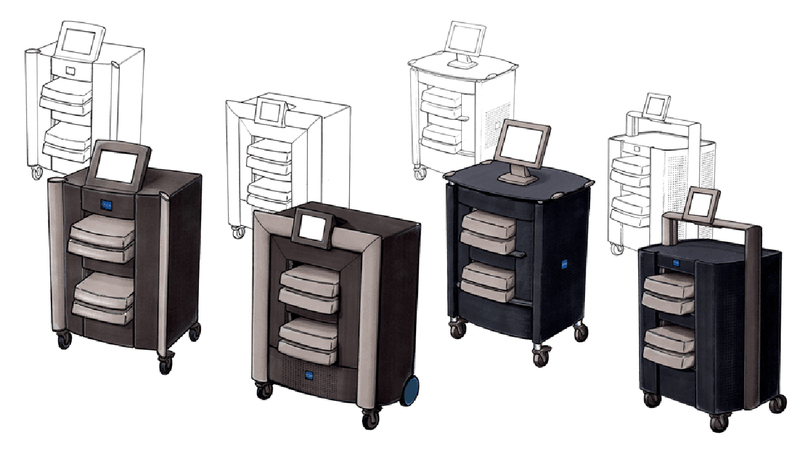 From this research, a highly stable and adjustable cart for use in a complex environment was designed for production, and manufactured. 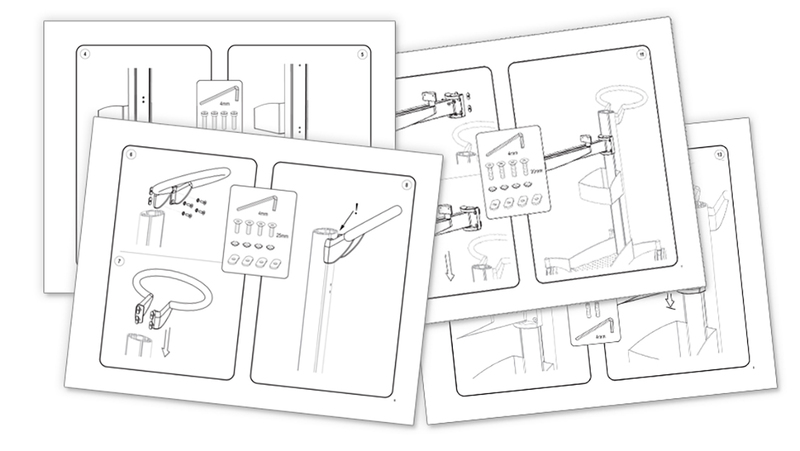 Detailed wordless assembly instructions were created and printed for ease of hospital tech assembly and implementation in numerous countries. 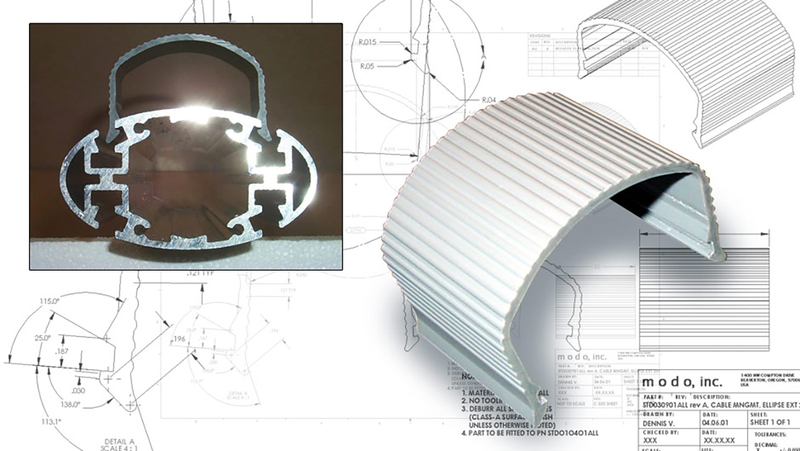 Full production documentation was created after the initial CAD design and proof of concept stages. 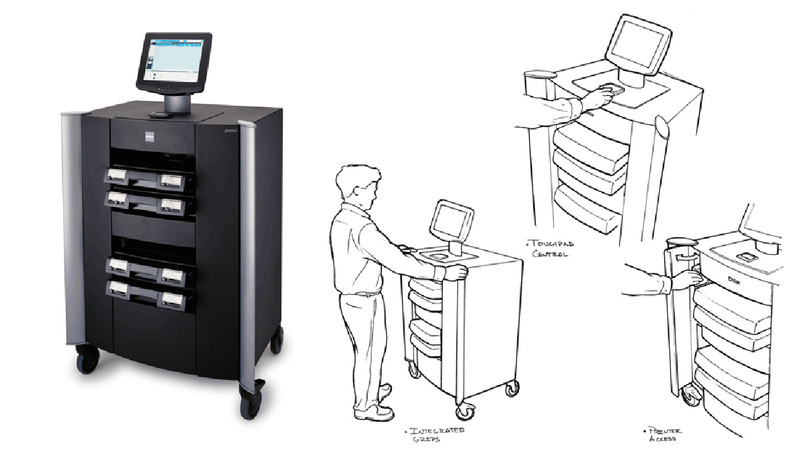 Epson enlisted Modo Technology Carts to design and manufacture a secure high-capacity integrated printing station roll cart. 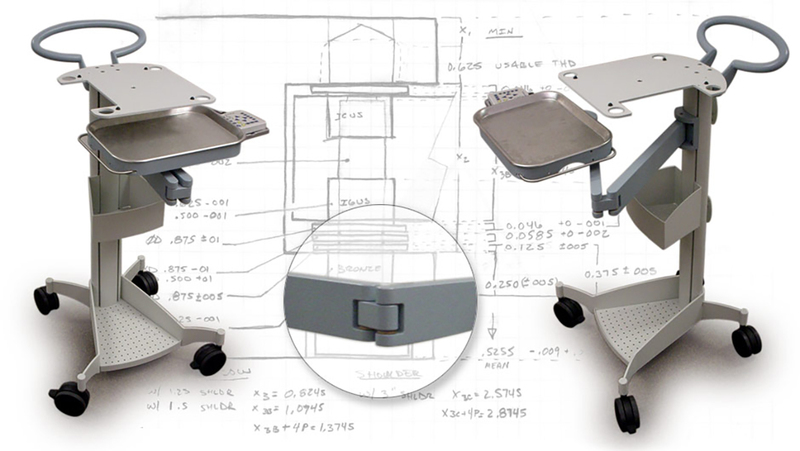 A touch panel and display screen allow the user to interact with printer software, and the large swivel casters provide easy movement of the entire system. Storage areas for paper and ink address needs for additional material in high-production printing scenarios. 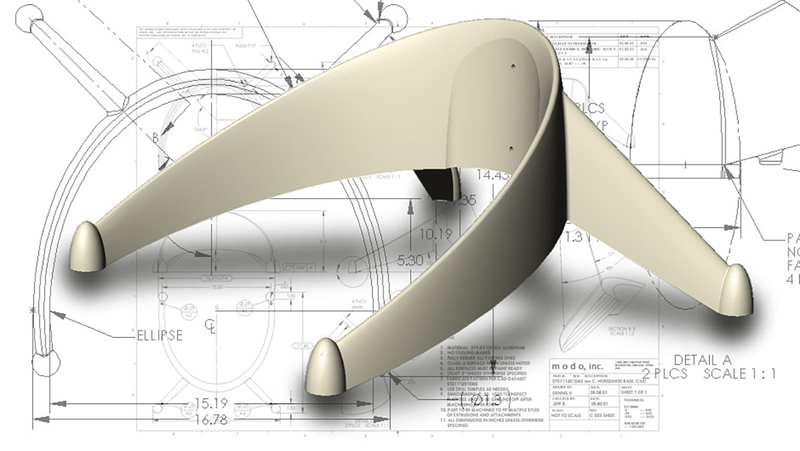 Dennis also developed numerous modular tech cart components while working at Modo Technology Carts. 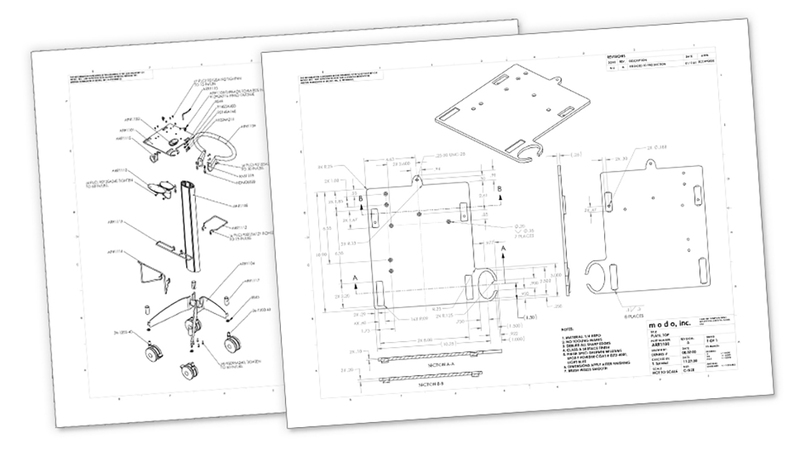 The goal was to create a toolbox of standard parts that could be used for varying single and double upright cart design iterations. 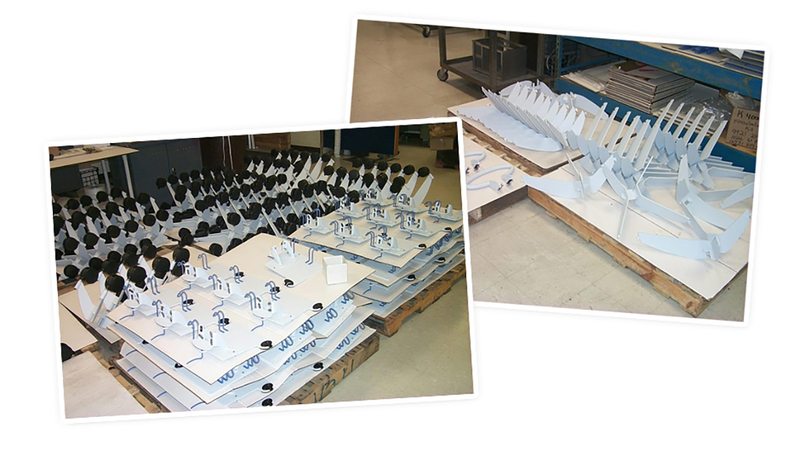 Sand cast elliptical extrusion endcap and support armature for lightweight shelves used for single tower carts. Sand cast elliptical base and tray platform mount for single tower carts. 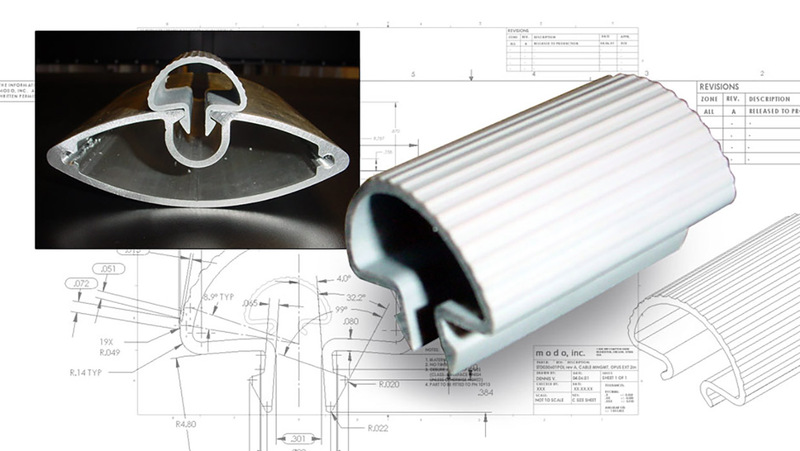 Extruded nylon high capacity cable management clip for use with Modo’s elliptical extrusion profile. 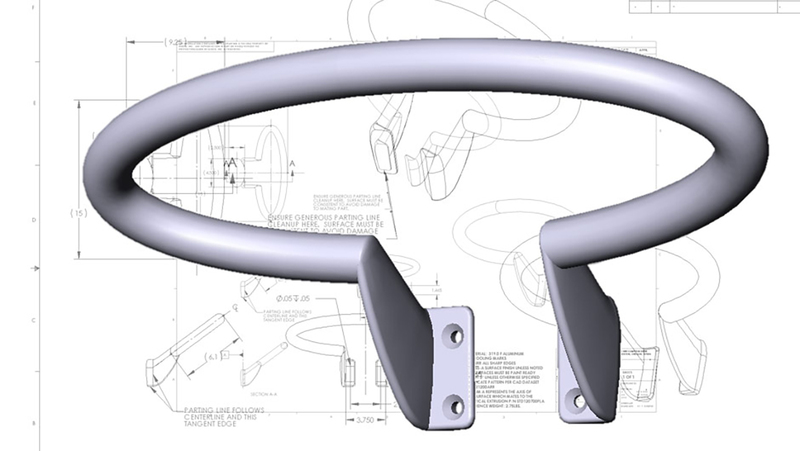 Santoprene two part hand grip designed for single shelf roll cart products. The handles affix to and entrap 3/16-1/4″ plate steel shelves via standard plastic ABS christmas tree style friction pins. 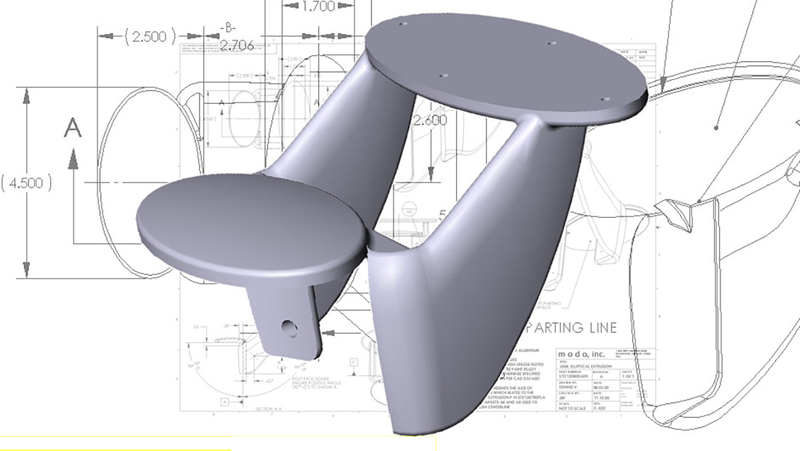 Sand cast elliptical profile for single tower carts. Can be used in conjunction with the arm and base components. Extruded nylon low capacity cable management clip for use with the opus style elliptical extrusion profile.